Buying a new home is one of the biggest—and most financially complicated—purchases that many of us will make in our lives. The process can be intimidating and stressful, especially for first-time homebuyers. If you are considering buying a new home, being aware of these often-overlooked expenses can help you prepare a realistic budget and not get overwhelmed by unexpected costs. Though not required, it is a smart idea to have a certified home inspector take a look at your potential new home. He or she will make sure that the house is structurally sound from roof to foundation, and will also inspect the electric, plumbing, water, and heating and cooling systems. If they do find any issues, you could angle for the seller to work the costs of repairs into the sale price. Having an inspector do a walk-through will run around $250-$500, but the cost of not catching problems before you close on the home could run into the tens of thousands! Your mortgage lender will want to make sure that they’re helping you make a sound investment. They will arrange for a certified appraiser to view your prospective home, compare it to the price of recent home sales nearby, and determine a value for the property. The appraiser will consider factors such as the overall condition of the home, location, special features, and current market conditions. Home appraisals are required by mortgage lenders and typically cost $300-$600. From start-to-finish, the process takes about ten days, and your mortgage lender should handle most of the details. The appraisal is usually included in the closing cost fees, so you would pay for the service after your offer is officially accepted or your home loan is finalized. Lenders will sometimes pay for the appraisal fee as an additional incentive for you to employ their services. When you are shopping for mortgage brokers, don’t hesitate to bring up the cost of the home appraisal. It could save you some money, and it never hurts to ask! When you’re looking for the perfect place to live, you’ll likely take more than just the bricks and walls into consideration. Is the house located in a safe neighborhood? In a good school district? Do the neighbors make an effort to keep their lawns looking nice? The answer to all of these questions will be closely linked to how much you’ll be paying in property taxes. This money is payed to your local government to fund services like road maintenance, police and fire departments, schools, and community infrastructure. Tax rates vary by location, and may change for a certain area over time. Most mortgage lenders will arrange your loan provisions so that your property taxes are tied into your monthly mortgage payments. Each month, your lender will set aside the money marked for property taxes into a separate escrow account, then pay the taxes to your local government when they’re due (typically twice per year). This works well for both the homeowner and their lender. The lender ensures that there is no default on the loan due to missed tax payments, and you get to skip the hassle of budgeting for and making a separate tax payment. Owning a home comes with a lot of responsibility. Gone are the days of calling your landlord to fix your leaking roof or busted air conditioner. Homeowners insurance will help protect your home (and pocketbook) against damage or loss from destructive forces like theft, hail, and fires. It will also cover you against financial responsibility if someone gets hurt in your home or on your property. 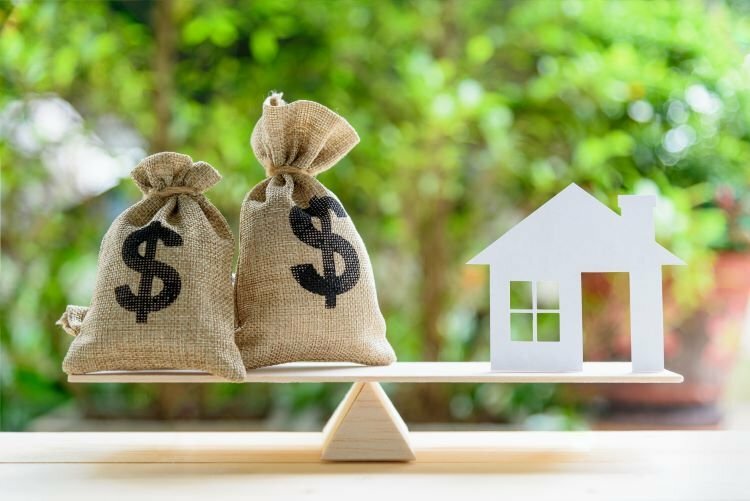 According to Zillow, you should generally expect to pay about $35 for every $100,000 of home value, though this rate varies by city and state. If your home is located in a “risky area,” where it might be more prone to storms, crime or other damages, you might have to pay a higher rate. Not all eventualities are covered by homeowners insurance. Flood damage, for example, is not covered. If your home is in a flood zone or disaster prone area, your mortgage lender will likely require you to purchase additional flood insurance. There are ways to save money on your homeowners insurance, such as bundling multiple policies with one company to cover your home, car, and life insurance. Consider talking to your insurance carrier about other ways to lower your rate, such as installing a home security system. There are a lot of moving parts and people involved with the homebuying process. Luckily, you don’t have to pay them all individually. That’s essentially what your closing costs cover—the fees and services that went into finding, qualifying for, appraising, inspecting, insuring, approving, and finalizing the purchase of your home. There is no standard list of what is and isn’t included in closing costs, as they can vary based on your lender, real estate agent, seller, attorney, appraiser, inspector, etc. Typically, closing costs run between 2.5-5% of the purchase price. This may seem like a negligible percent, but that puts the average cost of closing on a home in the U.S. at $5,000-$10,000! Your down payment and closing costs are paid and you’re ready to move in—whew! No more major expenses for a while, right? Well, you might have some fixing up and filling out to do before your new home fits you just right. The sellers may have taken their kitchen appliances with them when they moved, or the furniture that worked so well in your last place might not even fit through your new front door. First time having a yard? Don’t forget the lawn mower! The cost of buying appliances for and furnishing your new home could run well into the thousands, or even tens of thousands! The good news is, you don’t have to make all of these purchases right away. Try making a priority list and focusing on just the essentials, or finishing one room at a time so as to not get overwhelmed all over again. If you're feeling stressed out over the homebuying process, then take a deep breath! Remember that you're making an exciting investment for your future and your family, and that all of the hassle will soon pay off. With proper budgeting and planning, these costs will simply be items to check off a list on the way to owning a beautiful new home.